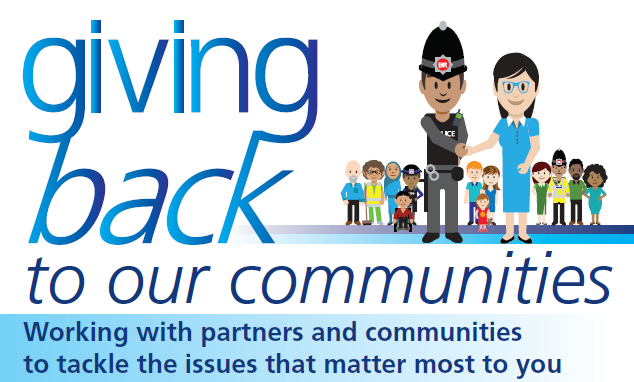 “Giving Back” helps GMP and partners give money to individuals, organisations and groups to tackle crime and antisocial behaviour in their neighbourhoods. This is part of GMP’s commitment to listening to and working with people to tackle the issues that matter most to them. People can bid for between £500 and £2000 in Bridgehall and Adswood in Stockport and GMP is looking for people to put forward their ideas for how the money could be spent and then decide who gets funding. The Force and its partners are also holding an event, inviting applicants who are successful at the first stage of the process to present their idea to people from the community – they need as many people as possible from the area to come along, listen to the ideas and vote for the one they think will make the most difference. Paper applications can be picked up and dropped off at Bridgehall Community Centre, Adswood Community centre, Abacus or Bridgehall Police Post. Midday to 4pm on 3 March 2018 at Adswood Youth centre.